Gee, I barely made it this week. Sorry, y’all. It was a crazy weekend and a busy Monday. What can I say? I slacked. Anyway, I’m glad you still stopped by. There are lots of great picks this week, so be sure and check out the Honorable Mentions as well. But the feature this week is also awesome. A William Powel murder mystery/comedy. Doesn’t get much better than that! 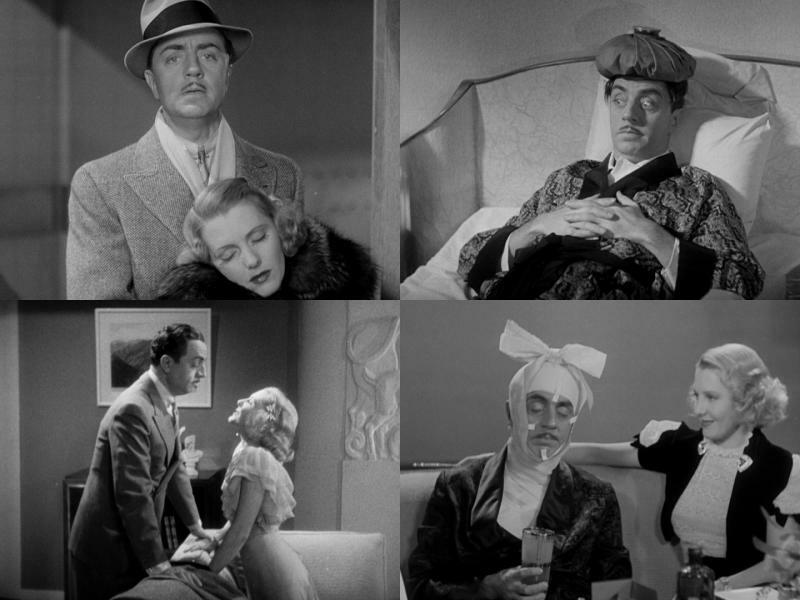 Dr. Lawrence Bradford (William Powell) and Paula Bradford (Jean Arthur) are an unusually amicable divorced couple. He’s a physician to wealthy clients, she writes murder mystery novels, and sees conspiracy in all of his patients. When one of his most recent patients, a jockey, falls dead in the middle of a big race, Paula is convinced foul play is afoot. Bradford thinks she’s delusional, until some strange coincidences appear. Suddenly a long list of rich and powerful people are murder suspects, and to Dr. Bradford’s chagrin, Paula is determined that the two of them are the most qualified to catch the killer. Of course, Paula is motived by more than a desire to catch a killer. She wasn’t too keen on getting divorced in the first place. Paula is sure that working together will rekindle their relationship, so she is determined to make sure that Dr. Bradford helps her investigate, no matter how much he protests. I absolutely love both William Powell and Jean Arthur, and they make a wonderful duo. Both skilled comedians and great actors in general, they are fantastic to watch together. Not to mention they have a great supporting cast and a really good script. “The Ex-Mrs. Bradford” will be on TCM on Wednesday, October 3rd, at 8:00 AM CST.